1999 Denali Pursuit – 25′ – brand new green full canvas! Low hours – 290- runs great. Nada blue book price is $18,780. 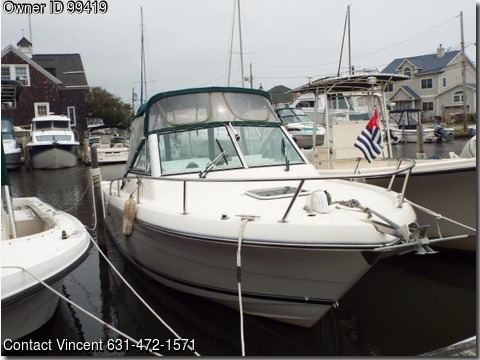 Give me a good offer and you have the boat and the slip for the season.